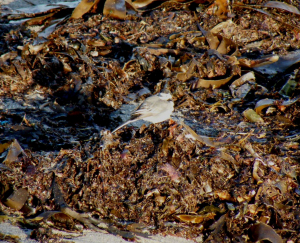 Observation - Possible White Wagtail - UK and Ireland. Description: Single paler bird present while there were several Pied not too far away. Photos enlarged - taken at the end of the camera range. Single paler bird present while there were several Pied not too far away. Photos enlarged - taken at the end of the camera range.